British Museum. 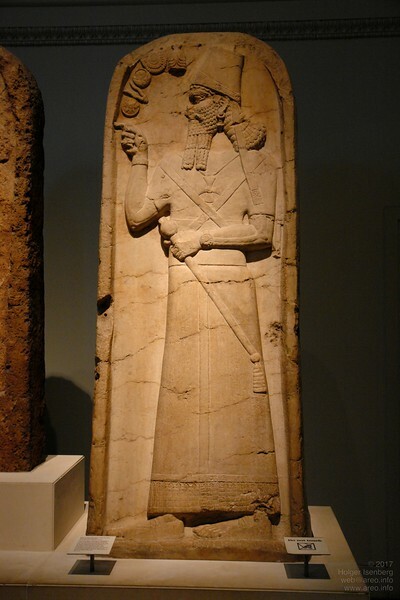 2800 year-old stele of Shamshi Adad from Assyrian capital Nimrud. The unusual cross symbol for that time was later used by the Knight Templars. The wristwatch is temporary standard gear for all gods and rulers.